The Gateway Guide to Monster Hunter: Where Should I Start? Too intimidated to take on Capcom's co-op action-RPG? We'll help you ease yourself into its world of terrifying beasts and irritating kitties. Since its launch in 2004, Monster Hunter has been the king in Capcom's home region of Japan. It's less of a franchise and more of an institution, standing next to titles Dragon Quest, Final Fantasy, Pokemon, and Metal Gear. While those other series achieved some success outside of Japan, Monster Hunter has only found a smaller audience in the West. With five mainline entries, and a number of expansions, ports, and spin-offs, the franchise looks to expand worldwide with the upcoming Monster Hunter: World. Before you jump into that title though, here's a helpful primer on Monster Hunter. What in the World is Monster Hunter? The original Monster Hunter on PlayStation 2. The very first Monster Hunter was released back in 2004 on the PlayStation 2. The game was an action roleplaying game focused heavily on hunting a variety of monsters, one of three network-focused games made by Capcom for the PlayStation 2 Network Adaptor. It played like a harder version of Sega's Phantasy Star Online, allowing players to team up and take down large boss-style monsters together. 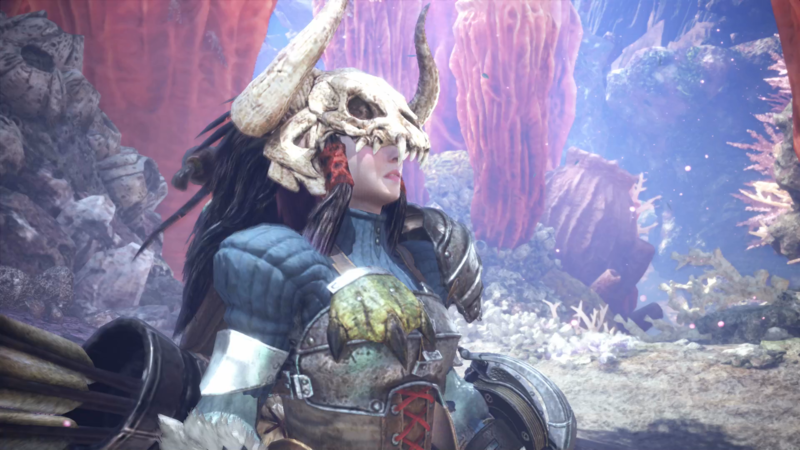 The core loop of Monster Hunter sees players heading out to hunt monsters; harvesting materials from their bodies; using those materials to make better armor, weapons, and tools; and then using your newly-crafted equipment to hunt better monsters. The first Monster Hunter sold well enough and recieved average reviews at the time. 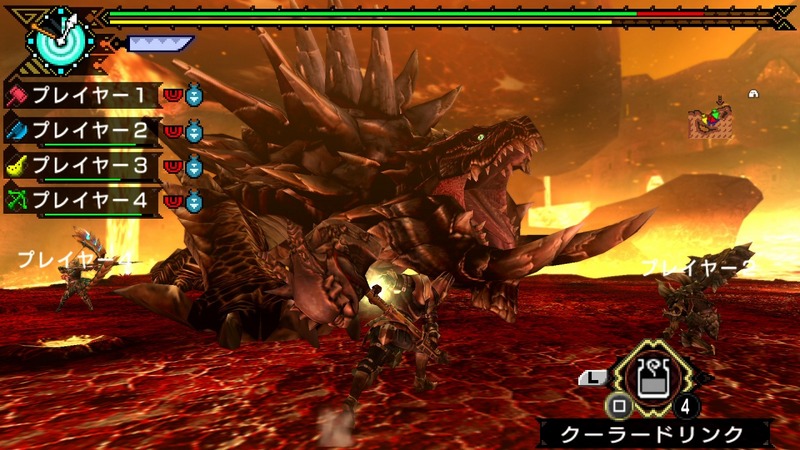 Capcom launched an expansion for the game on PlayStation 2 and Wii called Monster Hunter G, which was then ported to the PlayStation Portable (PSP) as Monster Hunter Portable (Monster Hunter Freedom in the West). Monster Hunter Portable was the first game to really take off for Capcom and established the trend of the game performing much better on portable platforms. Monster Hunter Portable 3rd, in its HD remastered incarnation on PlayStation 3. In Japan, the series made the PSP a strong contender. 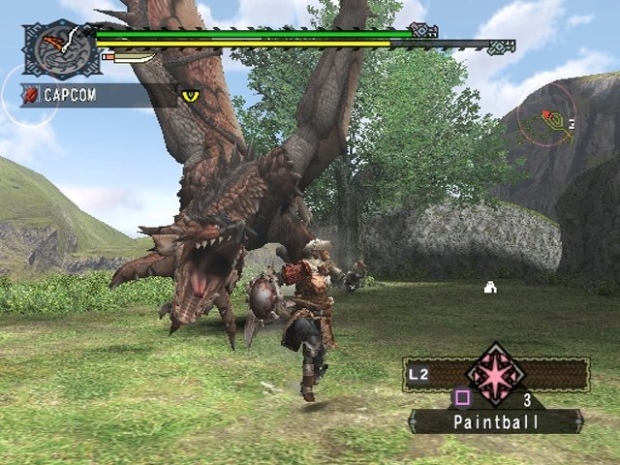 Much like Pokemon, the Monster Hunter games promote a strong community, with players getting together via local multiplayer to hunt monsters; players would convince friends, family, and co-workers to join them on hunts. Monster Hunter Portable 3rd (Monster Hunter Freedom 3) on the PSP was a watershed moment for the franchise, selling 4.9 million copies in total. The series' strength on portable platforms remained true when Monster Hunter moved from the PlayStation Portable to Nintendo's 3DS. Outside of Japan though, Monster Hunter hasn't found the same strong community. Monster Hunter 4 Ultimate for Nintendo 3DS, released in 2013, was the first game to really make a dent in the United States and Europe. It became the first title in the series to ship over 1 million copies in the West, and it did that by making the series easier for beginners. 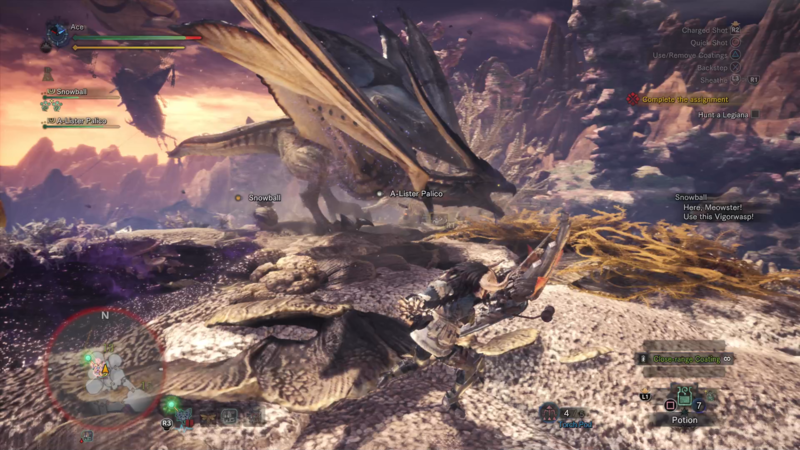 Monster Hunter's biggest problem has always been how hard it is to get into the games. Monster Hunter: World brings the focus of the franchise back to home consoles. Monster Hunter is a game you have to commit to. It's a series where busywork and tedium are part of the experience. You will fight the same monsters over and over again to gain the materials you need to fight bigger, badder, and harder monsters. Every monster has its own strengths and weaknesses in combat, or its own living patterns within the world of Monster Hunter. 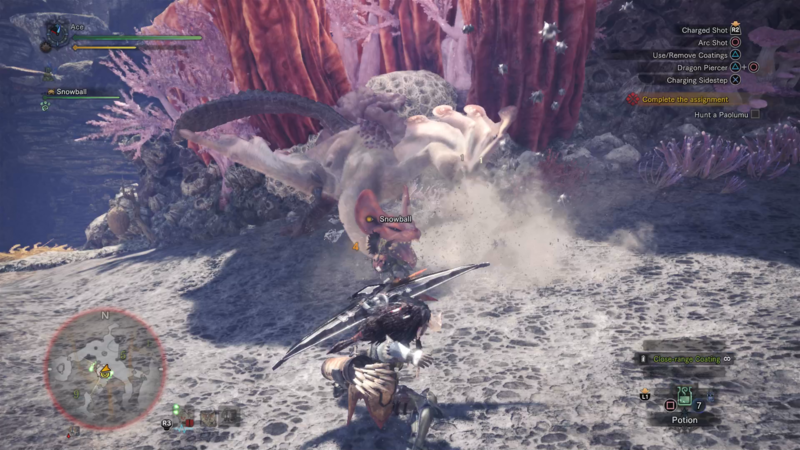 Each monster also drops different materials depending on where you hit them: if you need a horn or tooth to craft your desired weapon, hitting a monster in its tail won't get you any closer to your goal. There are multiple weapons, each with their own distinct combat styles; you might even think of them as completely different characters. Players have to keep track of other items like traps, tranquilizers, bombs, bait, and more. You need to know each monster, what materials you're trying to get from them, the capabilities of your weapons, and what other equipment you need to make a fight managable. It's a lot to take in. Planning is the name of the game when it comes to Monster Hunter. 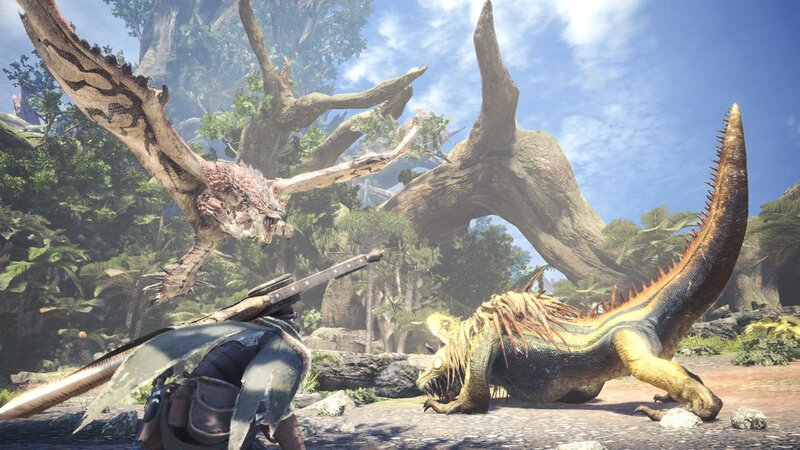 The actual battles in Monster Hunter may be around 10 to 30 minutes each, but the planning and preparation is much longer. That's why the community finds it satisfying though. As Hannibal of the A-Team says, "I love it when a plan comes together." There's something very satisfying about planning your hunt down to the last detail and then successfully executing on that plan. And that satisfaction only gets bigger when you're on a team. So you may be wondering which game is the best to play first, given the long history of the series. Luckily, Monster Hunter provides an easy answer to this question: Always start with the latest game—provided it's in a language you can actually understand. The Monster Hunter experience has continuously improved since its PlayStation 2 debut a decade ago, so there's no convincing reason to check out earlier games in the series. Monster Hunter: World is releasing on PlayStation 4 and Xbox One on January 26, 2018 and represents Capcom's latest attempt to reach new audiences with a streamlined Monster Hunter experience. Start there. 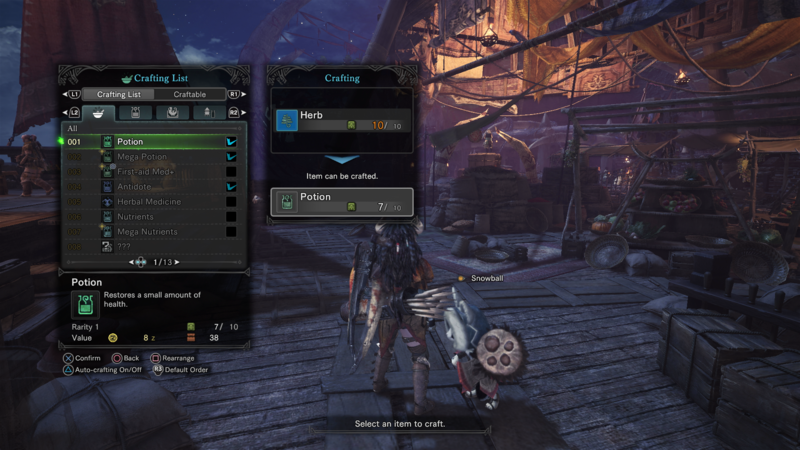 Monster Hunter offers fourteen different weapon types, which each one featuring a completely different set of controls. While the buttons you use to fight won't change, your range, swing direction, and special attacks all depend on the specific type of weapon you've equipped yourself with. If you're just starting Monster Hunter, it's recommended that you choose one of the more basic weapon types, like the Great Sword or the Long Sword. Experiment with chaining weak and strong attacks together to see which combo your weapon type offers. And, when out in the field, keep an eye on the weapon icon on the UI: It'll let you know the current state of whatever you've equipped. EAT! The cat cafes near your HQ can provide some pretty great bonuses, so don't forget to sit down for a hot meal before leaving town. Ingredients can be combined to give you some basic stat bonuses (like increasing attack or defense) or protect you from a specific element or status condition. Experiment with different combinations, and take note of the ones you like best. Bring the essential items: You'll want to make sure you have the basic set of indispensable items before heading off to hunt. These include Potions for healing, Meat to increase your stamina, Dung Bombs to scare away threats, Whetstones to sharpen your weapon, Paintballs to track fleeing monsters, Nutrients to raise your max HP, Pitfall Traps and Tranq Bombs if you're looking to capture instead of kill, and some means of grilling Meat, in case you run out. You'll also want to make sure to bring along items that will protect you from a specific monster's elemental or status attacks, and drinks that shield you from the harsh elements (like Cold Drinks for hot climates, and Hot Drinks for cold ones). Equip the right stuff: Though they won't give you a significant advantage, you'll want to bring along a weapon that exploits a monster's particular weakness—and keep in mind you'll be relying on wikis and outside sources for this information. And your armor provides some added protection if it's geared towards a certain element: Mail that's strong in the fire department, for example, will help insulate you from dragons that breathe the stuff. Don't forget to upgrade: Via the blacksmith, weapons can be upgraded into more powerful forms using the right items, so if you're comfortable with a particular sword (for example), see if you have the ability to transform it into something better. Armor can't be upgraded to new forms via items, though. Instead, the blacksmith will make slight improvements using Armor Spheres, but keep in mind that fully upgrading a piece of equipment requires the rarer version of these items. If you're going to upgrade a set of armor, make sure you're committed to improving the whole set. Don't stick to just one set: After you understand the logistics of creating and modifying equipment, you'll want to branch out and craft a few different sets so your character can be more versatile during his or her hunts. For starters, you'll definitely want to work towards creating a set of gear to successfully defend against basic elements like Fire, Water, Ice, and Thunder. And certain groups of gear provide some great advantages against environmental hazards. Some will shield you from hot or cold climates, while others can increase the amount of time you can last underwater. Having weapons that can exploit these elemental weaknesses is a great idea as well. Stay locked on: Monster Hunter's beasts can be extremely deadly if they're not in your sights, so make sure you lock on to them, then tap the camera button as you fight to center the action on your target. Follow the flies: Previously, if you wanted to track a monster, you had to use the Paintball item. You'd throw this on a monster and then use that to track them for a limited amount of time. 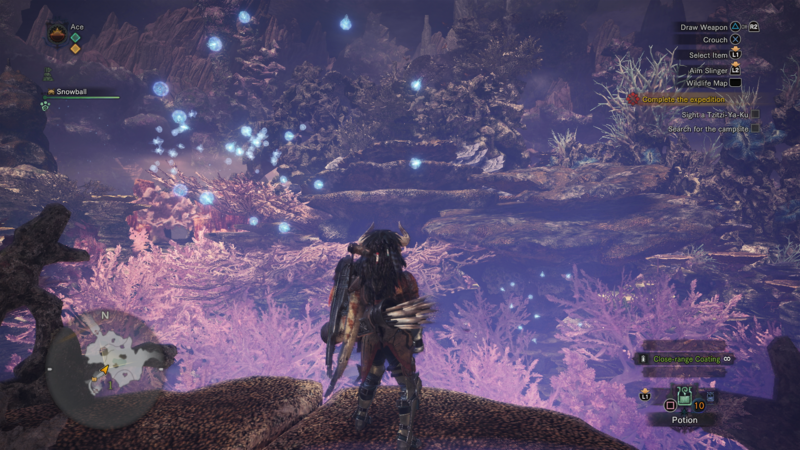 With Monster Hunter: World, you'll want to follow your scout flies. If you've been tracking a target, the scout flies should always give you an idea of its general position. Just follow the green fairy cloud. Power-up: Upon starting a mission, chow down on your meat and chug your Nutrients right off the bat, so if you stumble into that monster, you'll have raised your max HP and stamina enough to be prepared. Keep an eye on your stamina: Evasive maneuvers in combat like rolling and running will do a number on your stamina bar. If you deplete your stamina completely, your character will have to take a few seconds to catch their breath, which can be bad news in the middle of a battle. 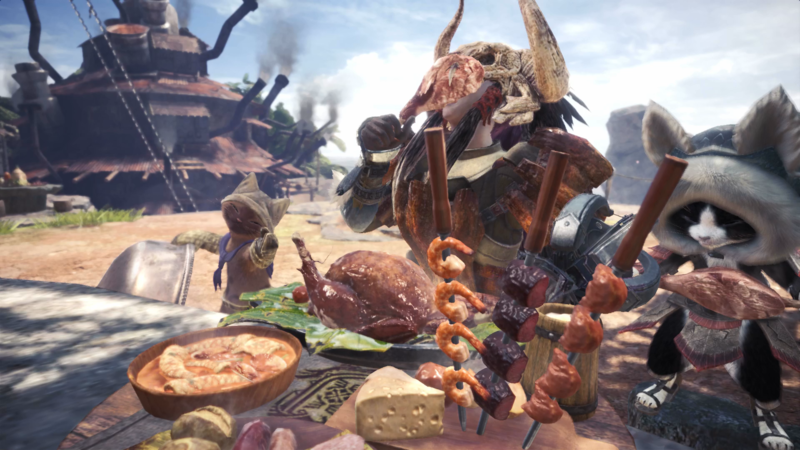 And make sure your max stamina stays at its maximum levels by bringing along plenty of Meat—with some of the longer battles, you may end up eating all you can carry. Learn the tells: Monster Hunter is a game that rewards personal experience, so your first fight with any monster will inevitably be a clumsy learning experience. After a few tries, though, you'll begin to recognize the significance of their attack animations, and how to best avoid their most devastating moves. And experimenting with attacking various parts of a monster can let you know which ones can break—most of the monsters with tails can have this appendage removed if you're persistent. Don't be afraid to put your weapon away: Weapons are pretty big in Monster Hunter, and if you have yours out, you'll move much slower, and won't be able to run. That said, having your weapon unsheathed at all times is a bad idea: During particular moments in battle, you'll need a quick boost of speed for dodging attacks or chasing after fleeing monsters, so only have your weapon at the ready if you plan to immediately attack something. Know the best moment to heal: Battles in Monster Hunter last a long time, so you'll periodically need to sharpen your weapon, chomp down on some meat, and heal yourself. Unfortunately, the monsters don't want you to do this, so you'll have to find the right moment to make this happen. Make sure you're not being targeted by an attack—in fact, it's best to use items while your CPU or human companion has a monster's attention. And if you don't mind giving said monster a bit of a head start, using items just as they've fled the zone also works. 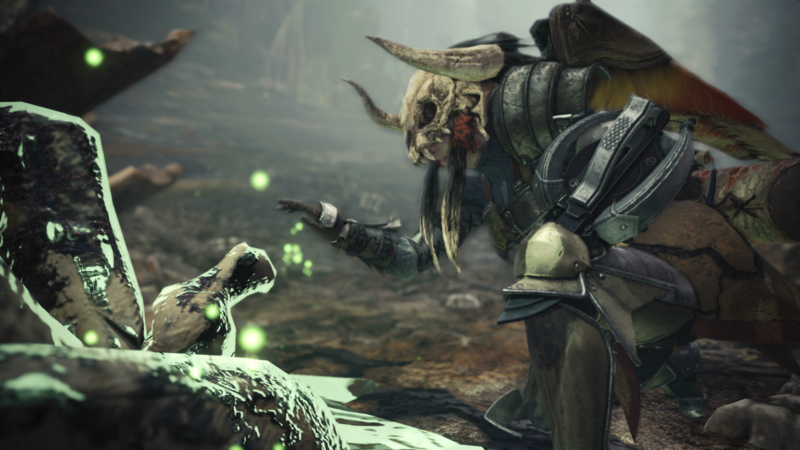 Capture, don't kill: Capturing monsters almost always yields better rewards, so you'll want to tranq and trap them in most cases instead of ending their lives on the battlefield. Since the bosses in this game don't have health meters, you'll have to learn the best possible time to trap them. You'll eventually begin to recognize how each monster acts before it's about to keel over, but when they start limping is an opportune time to trap them. Since hurt monsters tend to flee, you'll want to lure them to a new zone as soon as they start exhibiting behavior that indicates their susceptibility. Place a Pitfall or Shock Trap on the ground, lure them into it, and make sure you're locked on. Once they're in, start throwing Tranq Bombs, though keep in mind you might need to throw 2 or 3 to knock a monster out for good. If you throw more than this and the monster remains conscious, you'll need to put down a new trap and start the process again after whittling down its HP a bit more. This is an update of an older article written by Bob Mackey. This article has been updatedas of January 24, 2018.